There are a variety of ways of doing apologetics. For those that are unfamiliar with the term, apologetics is the process of offering a defense for something. In this case, I am using the term to refer to a defense of the Christian faith. Some rely on evidential apologetics, which certainly have a place. This is the sort of approach that Francis Schaeffer and Lee Strobel are known for. Sometimes this form of apologetics comes in the form of historical analysis, like the process used by people such as Mike Licona. Sometimes it focuses on a forensic examination of biblical texts. All of these are valid ways of explaining the validity of Christian belief. 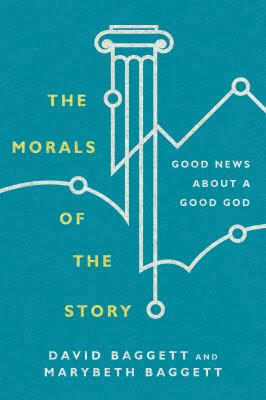 In his recent book, Gregory Ganssle makes a case for the Christian faith in a different way, namely by explaining how the Christian helps make sense of the world, and does so better than any other faith system. His title, aptly chosen, summarizes the point of the volume: Our Deepest Desires: How the Christian Story Fulfills Human Aspirations. At its heart, Christianity is not simply a mythology tacked on to typical human experience, it is the best explanation for everything that exists. In other words, people should be Christians because Christianity is the most satisfying account of the universe, including human nature and everything that entails. Ganssle’s volume is brief, and is divided into four parts, with a separate introduction and epilogue. Each of the four parts consists of three chapters. Part One deals with persons. The Christian faith entails the belief in persons who are eternally in relationship one with another. This helps to explain why we humans, who are created in the image of God, long for relationships and only flourish within relationships with other persons. It also supports our natural sense of the importance of human persons. We do amazing things for other people, especially people we love. This makes sense if the Christian depiction of the world is true. Part Two outlines how goodness factors into our desires and how Christianity fulfills our desire for goodness. Everyone wants good things. This, of course, is something of a tautology because we often define what we want as good and good as something we want. There is, however, a great deal of commonality among humans as to what is considered good, setting aside matters of taste. And, if critics are honest, they can often discern that something is good, even if they don’t like it. Consider, for example, classical music. Someone way strongly prefer Jazz but still be able to recognize the excellence of an orchestral performance of a great work of music. Also, consider that as bad as we often feel about the world, it is amazingly good. There is too much goodness in the world for it to be an accident. Ganssle argues that the goodness we desire and often find is best explained by Christianity. The third part discusses beauty. Much like goodness, beauty is commonly sought and found more frequently than we can admit. Christian teaching holds that beauty both honors God and points us toward God. Beauty is superfluous, it is unnecessary, but it is an amazing gift from God. When we yearn for beauty or find it unexpectedly, we should see the reflection of the Christian faith. Part Four covers the relationship between the desire for freedom to Christianity. Humans, universally, long for freedom. Even advocates of oppressive economic systems like socialism typically claim their desire to force others to live according to certain social dictates is really an attempt to free others from want and desire. Freedom is a universal desire. Often, we find that freedom in knowledge of truth. We want to know what is. We long to understand. That’s the foundation of modern science, of poetry, and of so much that we do. Humans also hope for freedom in the future. That hope is explained by Christianity. Our innate human desire for freedom is best explained and fulfilled by the radical reality of the Christian faith. Certainly, the above four paragraphs fail to do Ganssle’s volume justice. His well-crafted essays build a cogent argument and make a compelling case for believing in Christianity. He shows why it is so satisfying to be a Christian. This volume is encouraging to those in Christ, who struggle with faith and are sometimes looking for a deeper sense—beyond the evidential proofs—of why Christianity is compelling and true. Our Deepest Desires may also be a useful volume to put in the hands of someone who does not find the point and counter point of apologetics arguments helpful, but needs to see the grandeur of Christianity. Ganssle’s volume deserves a place in the library of the Christian. In fact, in some locations, this volume may be best bought in quantities for distributions for those exploring the Christian faith. The portrait Ganssle paints of Christianity is beautiful and compelling. It is a delight to read and will bear re-reading in the future. The Ten Commandments, known among Bible scholars and theologians as the Decalogue (literally, ten words), are a significant focus of the Christian ethical tradition. In popular American culture, they are often seen as the epitome of biblical ethics. Some, misunderstanding the nature of the gospel, will state they are good with God because “they follow the Ten Commandments.” (If you haven’t encountered this, you haven’t shared the gospel in the so-called Bible Belt.) One cannot understand Christian ethics without delving into the text and interpretation of the Decalogue. As a result of the importance of the Ten Commandments in the Judeo-Christian ethics, the study of the topic continues at a steady pace. David Baker’s recent book, The Decalogue: Living as the People of God, represents one of the more recent entries into the ongoing discussion. The structure of The Decalogue is simple and straightforward. Part One has four chapters that survey the background of the Ten Commandments, including their shape, form, origin, and purpose. Part Two has a chapter on each of the first five commandments; this section focuses on loving God properly. Part Three discusses the last five commandments; these chapters emphasize loving neighbor. The fourth part consists of a single chapter that attempts to further develop the idea that the Ten Commandments are applicable to contemporary life. It should be clear from the outset that this book is a scholarly volume representing a specific approach of the Decalogue. Baker is a good biblical scholar and interacts with key textual resources and commentaries in laying out his argument. He provides some of the background on the textual history of the Ten Commandments, including how different denominations number them and how they divide up the tablets, but it focuses mainly on the text itself and not the traditional ethical interpretations of the Decalogue. By focusing on the text of the Decalogue, Baker provides a resource that opens up the topic and introduces the Ten Commandments for a contemporary audience. He divides each of his chapters on a commandment into three basic parts: (1) Explaining the Ancient Near Eastern context; (2) Exposition of the commandment in the context of the Bible; (3) Some application of the text. In explaining his structure, Baker notes, “There are a good number of books with valuable insights concerning the relevance of the commandments, but these often lack a firm basis in the study of the text.” (pg. 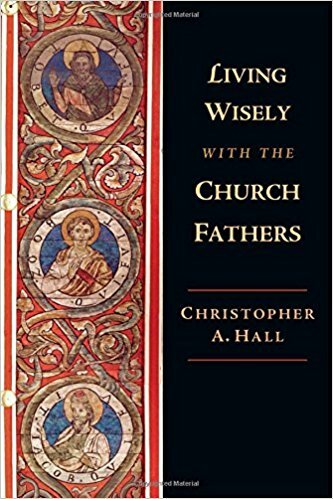 x) His observation is correct and his emphasis on trying to explain the text makes this volume a good addition to ongoing study of the Decalogue. At the same time, the contemporary ethical application of the Decalogue is often best informed by the historical uses of the text. Baker’s volume lacks this theological history. For example, there is little interaction with the way historic confessions of the Reformation dealt with the Ten Commandments, and very little reference to significant sermons preached by pastor-theologians on the commandments. Baker did not set out to accomplish this is his volume, so this is not a fault, but those considering purchasing it should be aware of the limit of the scope. Also, the explanation of the purpose of the Decalogue in chapter four is thin in comparison to many texts dealing mainly with the moral theological significance. He summarizes three views on how broadly the commandments were intended to be applied and settles on his preferred interpretation, which is that they apply to all of God’s people. Neglected in this discussion is the nature of the Ten Commandments, which informs their applicability. If, as some argue, the Decalogue reflects the very character of God, then they reflect a moral standard for all people. Baker moves beyond those foundational arguments too quickly, which, again, is largely a result of the scope. However, some of those discussions would have made this volume a more complete treatment of the topic. Baker accomplishes what he set out to do. He effectively explains the context and text of the Ten Commandments. He also brings these divine directives into our time through contemporary application. His exegesis and synthesis of biblical scholarship on the topic make this a touchstone volume for future Decalogue studies. This is not a comprehensive treatment, but The Decalogue, will make an excellent addition to a pastor’s library as an aid to sermon preparation. It will also make a strong complimentary volume to a biblical ethics course at the undergraduate or graduate level. Baker has done good work for the Kingdom in researching and writing this book. Note: I received a gratis copy of this volume from the publisher with no expectation of a positive review. Also, purchasing the book through the above link will direct a small portion of the proceeds to supporting this website.